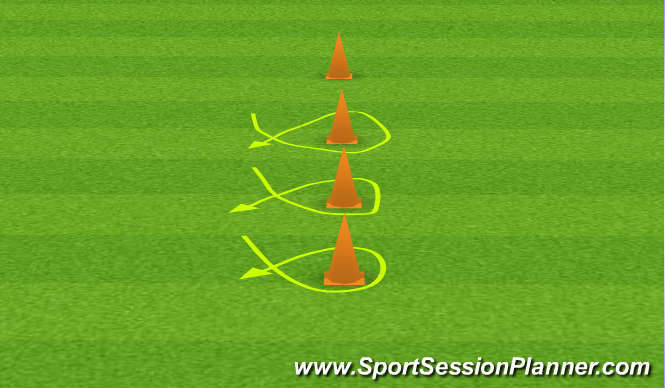 Gk moves around first cone and across to receive service from S. Recovers and moves around next cone for service. Repeat for all 4 cones. * Repeat drill working other side. * Repeat drill starting on front cone and moving backwards.